When studying science, there are lots of opportunities for us to learn from our own backyard. 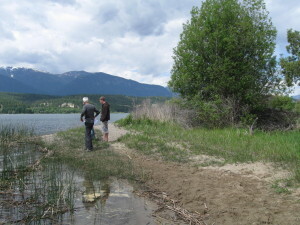 This spring, the Earth Sciences class from David Thompson Secondary School teamed up with the Lake Windermere Ambassadors to study science on the shores of Lake Windermere. 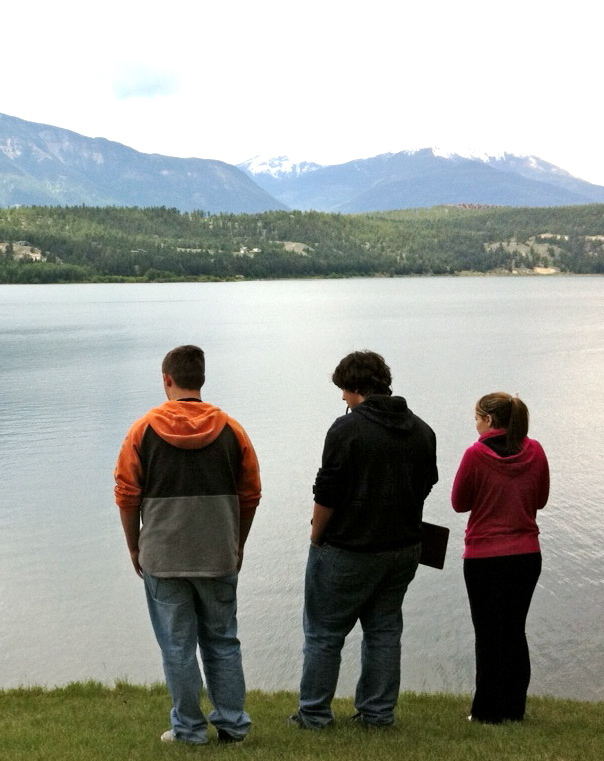 “The purpose of the unit was to teach the students about the lake, its ecosystem, and a little bit about this region’s geology. This added a whole new layer to what they’re learning about in the classroom,” said DTSS teacher Heather Brown. The unit culminated with a field study on the shoreline of Lake Windermere. On June 5th, 22 students teamed up in twos and dispersed along the shoreline between the cementary and Tretheway Beach. Each student pair was met by a landowner and a Lake Windermere Ambassadors volunteer. Cam Berry, part and full time homeowner in the Hidden Bay area for over 30 years, met with the students and shared his observations, thus adding value to what they saw during the field trip. “There are currently breeding Mergansers and Western Grebes in front of our property – and I spotted a muskrat yesterday” noted Mr. Berry. Following completion of their written reports, a few of the students will present their findings at a Community Association AGM.